American In-Home Care refers care providers that can perform a full array of live-in care services, so your loved one can age in the comfort and familiarity of their own home, and you can rest easy knowing your loved one is not alone. The care provider(s) will live in your loved one's home, and typically becomes an integral part of the household and will share meals, becoming a trusted caregiver, confidant, and friend. 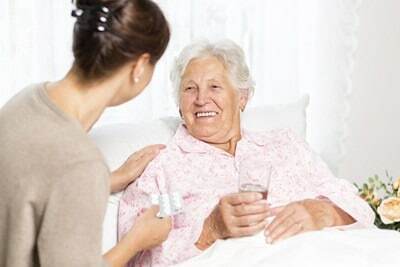 You will work together with the care provider to determine the exact schedule of services that will be performed for your loved one, and when these services will be performed, including times for care provider breaks and sleeping. A live-in care provider is required to have a certain amount of hours of uninterrupted sleep while working with your loved one. It is important to note that Live-In care is not a substitute for 24-hour monitoring. Individuals who require constant care and monitoring 24-hours a day are not usually good candidates for this type of care, because they will likely need multiple care providers to remain in a home environment. For more information about Live-In Care services, dedicated 24 Hour care, or to schedule a free in-home consultation, contact a Client Care Liaison today!